This plug ins emulates a special Drum Step Sequencer with 8 ROWS.The perfect companion for creating simple & complex Drums Lines, Basses lines, and nice melodies/leads. Last version: V1.5/ 1st October 2018. 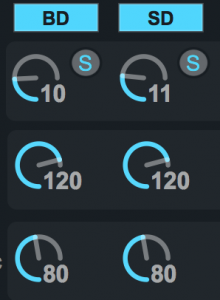 This plug ins emulates a special Drum Step Sequencer with 8 ROWS. The perfect companion for creating HUMANIZED Drums Line & nice melodies/leads. Use this plugin in conjuction with any Drum Racks, Sampler, Simpler, Operator, any other VST/AU plugins, any audio hardware equipements: you will get surprised! It can be used also as an analog step sequencer, POLYPHONIC !!! You can remix your own music ! You can remix very long music loops. Many features (described in the features section) are available to create your own melodies or remix, check them ! Use Simpler in slices mode & use the START, Transition level (%), etc. You can change the NOTE LENGTH. You can apply different SWING amount for the different ROWS ! You can really create very nice HITHATS or any other style of music. 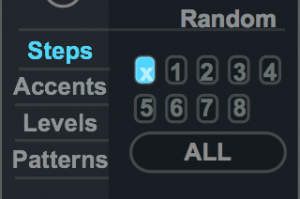 Each time a BD step is marked/selected, then the volume of the other sounds (the other ROWS) will decrease according to the AMOUNT of SIDECHAIN selected. It can produce a nice creative effect, a new sequence ! 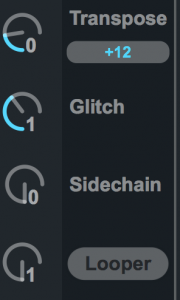 These functions are played in SYNC with Ableton Live ! We added an advanced feature for the REMIX mode: You can edit & set your own REMIX mode ! 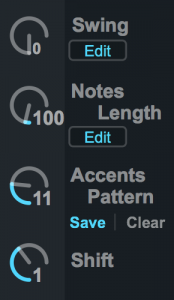 You can change the notes length for each ROW ! 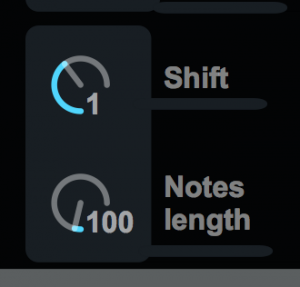 It can be very useful for your Drum Racks Samples or your Remix, or for Melodies. You can randomize nearly everything ! The random function is a special random algorithm giving creative results. You can create your own patterns and save them ! You can edit the accent sequences & save it. The save function is very powerful: it keeps in your ableton live project the sequences you have saved. You can also change the TIME SIGNATURE (1/4, 1/8, 1/16, 1/32). More videos here: M4L PRO Instant Drummer.